Freebie alert! Are you a tea lover? 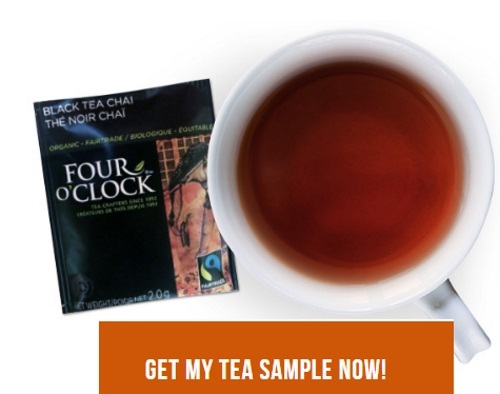 Get a Free Tea Sample from Four O'Clock Tea! Sign up and you’ll receive a sample of their Tea of The Moment, Chocolate Spice Herbal Tea and a second sample of Black Tea Chai. Limit 1 per person Valid while supplies last. Samples should arrive in early March.